GNOME GMail (Google GMail) Notifier is an awesome tool for GNOME/Linux users if you are addicted to checking mails every few minutes. GMail Notifier solves a bit of your problems by notifying about multiple gmail accounts. One more plus point is that it can display GMail Notifications for new mails in accounts for which you are using Google Apps. Below is a step by step howto on installing and configuring GMail Notifier in Fedora (may apply to other distros as well). 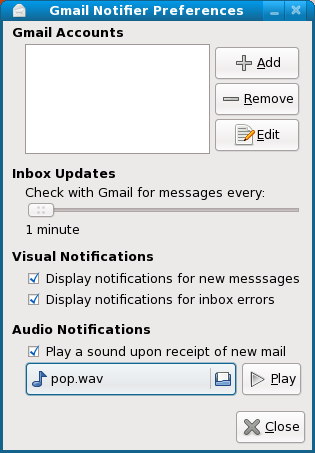 If installation was successful, go to Applications -> Internet -> Gmail Notifier. Right click on Email icon in taskbar and click Preferences. Set inbox update time to 1 minute. Check display notifications for new messages and errors. Also select a sound to play for new mails. Click Add on preferences window and add your GMail account. If you don’t know what Google Apps is, leave this step. 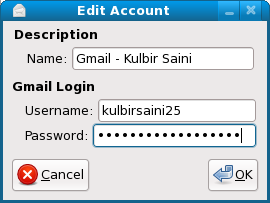 If you do know, then add your mail account. If you can’t wait for 1 minutes to see GMail Notifier in action, just right click on email icon in taskbar and click Check Mail. Whenever you get a new mail, you’ll have bubble like the one in image below and a sound will also be played. We offer all kinds of certification exams including MB4-219 and MB6-203 certifications. Our guaranteed MB6-822 are freely accessible all around the world of 70-181 with 70-291. ← News: Memepress (Yahoo! Meme) WordPress Plugin is out! I currently use mail-notification (yum install mail-notification) for Gmail notifications, what is the advantage of using this? I’ll have to use mail-notification for sometime. I’ll try to post a comparison. Does this work with http proxy? i’m glad you’ve found the notifier useful. i’m getting ready to release a new version of the notifier which is quite improved. be on the lookout for version 0.10.1 at http://notifier.geekysuavo.org/ within the next few weeks! Does this also make a notification pop-up when someone sends you a chat message in Gmail chat? If not, could you recommend a way to do this? 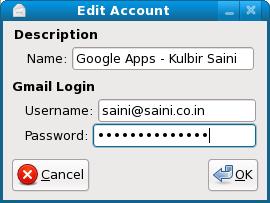 I use CentOS Linux (based on RedHat) with gnome 2.16.